PDF is a popular format for document exchange. For those who use PDF often, they need to edit PDF files for various purposes. Sometimes you might need to change the background color in a text box. Or you might need to change the texts color and PDF page background. 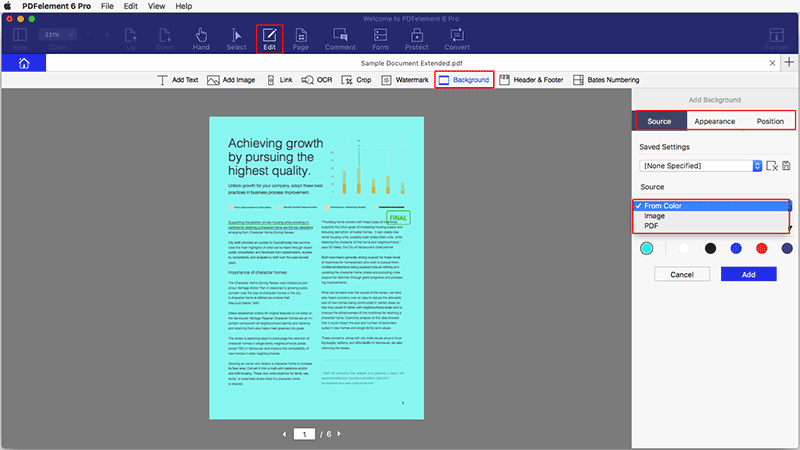 Here in this article, we would like to share some tips on how to change text and background color in PDF documents, either on Mac or on Windows PCs. Changing text color in PDF on Mac is very simple if you were using a word processing program - PDFelement ProPDFelement Pro. 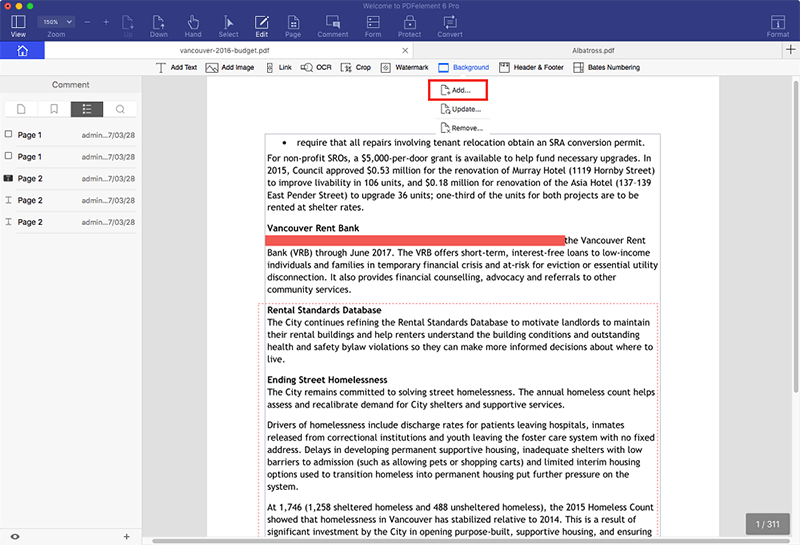 The text editing mode allows you to delete or add text to PDF document on Mac (macOS 10.14 Mojave). And in the menu and toolbar, you will find options that will allow you to change the font, font size, and even customize colors to emphasize your text selection or specific pages in PDF. In just a few clicks, you can change the PDF to any color you want. If you have installed PDFelement Pro on your Mac, run the program and click the "Open File" button. 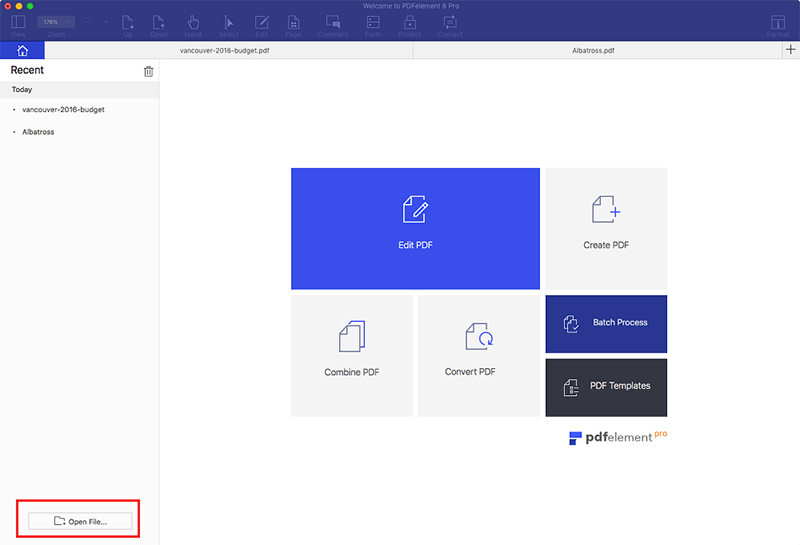 Then navigate to the folder with PDF files, choose the PDF you want to change text color and the file will open automatically. Click the "Edit" button in the toolbar, and double-click the text you want to edit and then pick a color you like. In the right side of the main interface, you can choose the color you like. Select text on your PDF file, then you can start to change PDF text color. In addition to change the texts color in PDF, you can also change background color of your PDF pages. To change background color, the initial step is to launch PDFelement Pro on your Mac and then open the "Edit" menu. Click on the "Background" button. You can select "Add" to open the Add Background panel inorder to add background to your PDF. In the "Source" tab, you can select "From Color" and the pick any color you like and add it to all your pages. 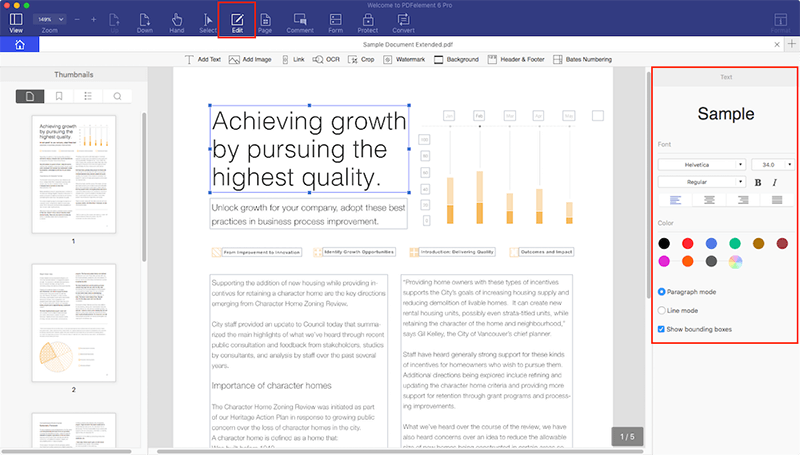 You can also choose to add color to some pages of your PDF document. Finally, click "Add" to complete. Why Can't I Highlight PDF Texts? Solved!